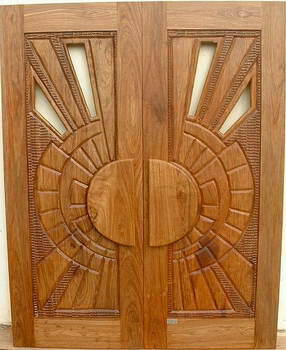 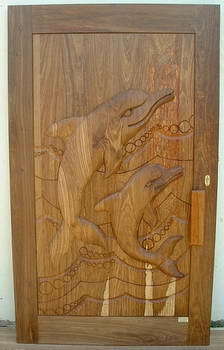 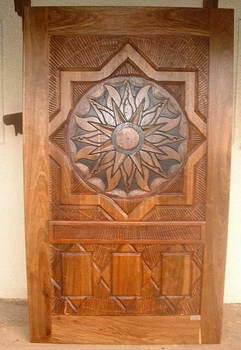 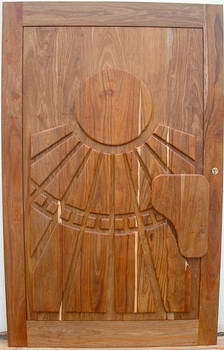 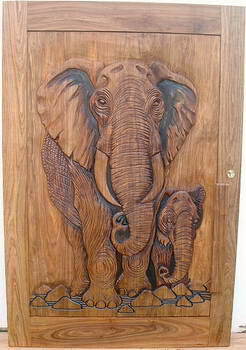 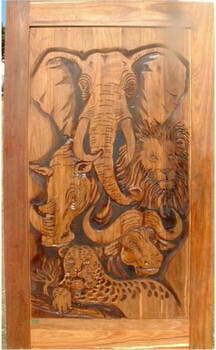 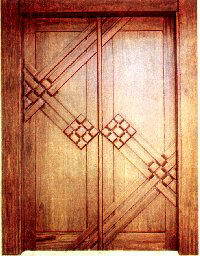 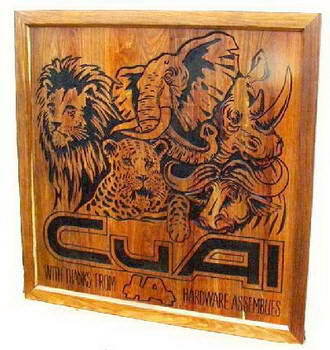 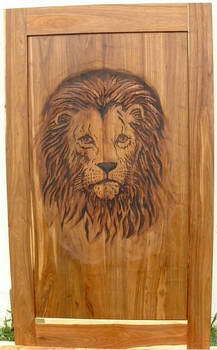 Africarve Hand Carved Doors - Out of Africa comes a new experience in doors All our doors are solid and carved from hardwoods of the highest quality. 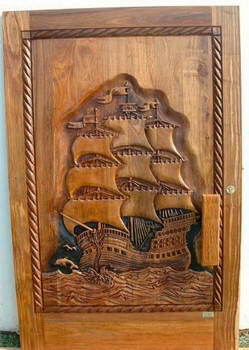 Our craftsmen use age old methods of carving, which no machine is capable of reproducing. 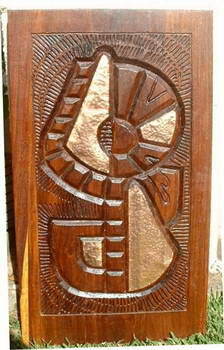 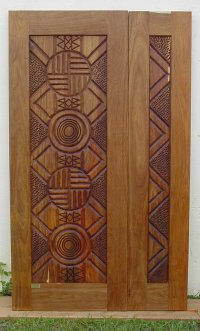 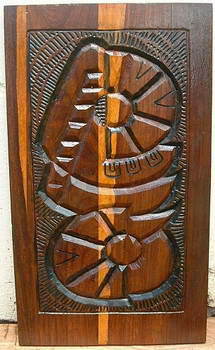 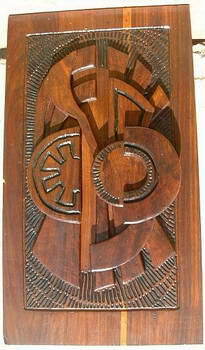 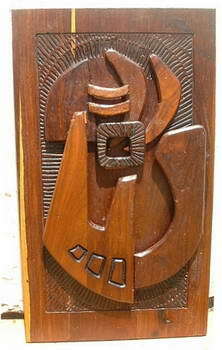 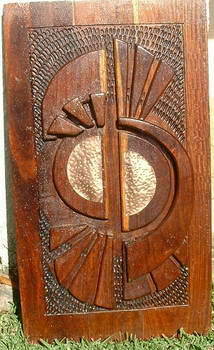 Hand beaten copper is used on some of our doors to set off the beauty of the wood and emphasize the unique African designs. 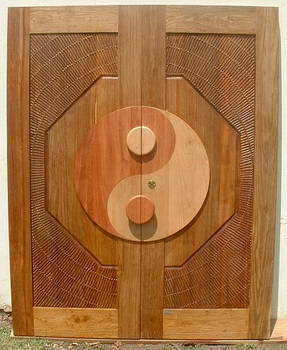 Types of wood used KIAAT: A Hard African wood with a light red/brown colour and a distinctive grain and most other hard woods on request. 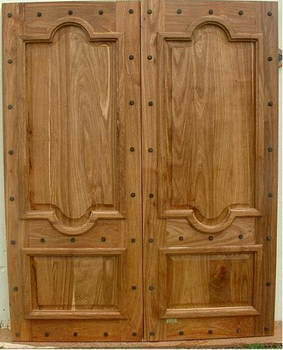 The timber contains 8% to 15% moisture and can be used in coastal areas where the moisture content will stay 15% max, and in dry inland areas where the moisture content will be as low as 8% without cracking or warping.